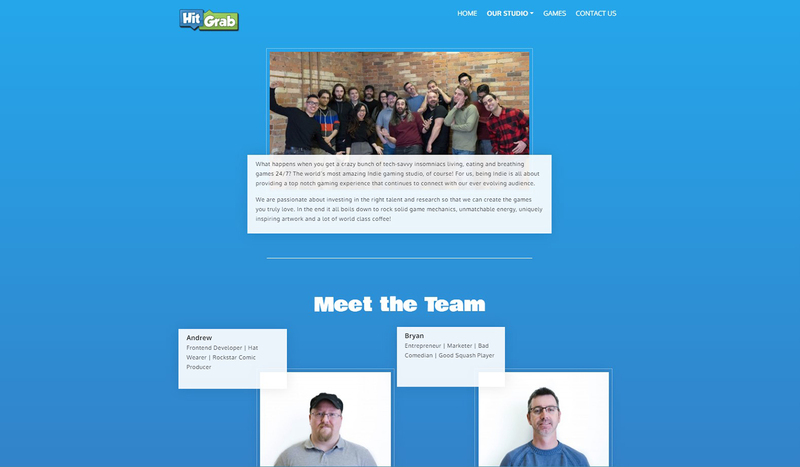 The new HitGrab site makes use of subtle animations to make the website more engaging to interact with, and the fresh new colour gradients bring life to the pages. 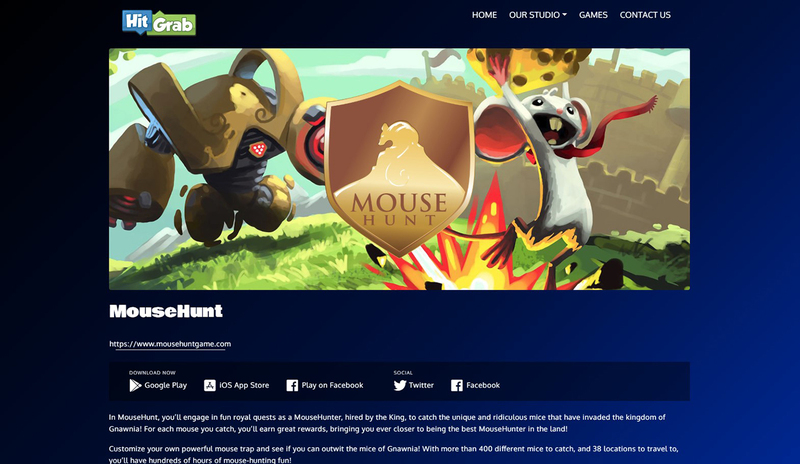 HitGrab are a game development studio in Toronto, originally made famous for the massively popular Facebook game MouseHunt, which, 10 years on, is still going strong in the form of a mobile game. HitGrab recently published a PC game on Steam, with plans in the works for more console and PC games, as well as Augmented Reality mobile games. It's an exciting studio and I wanted to present them well through this website! I'm really happy with how this site turned out, and I have a few more tricks up my sleeve still for some extra added fun and some new sections that will come to the site soon. 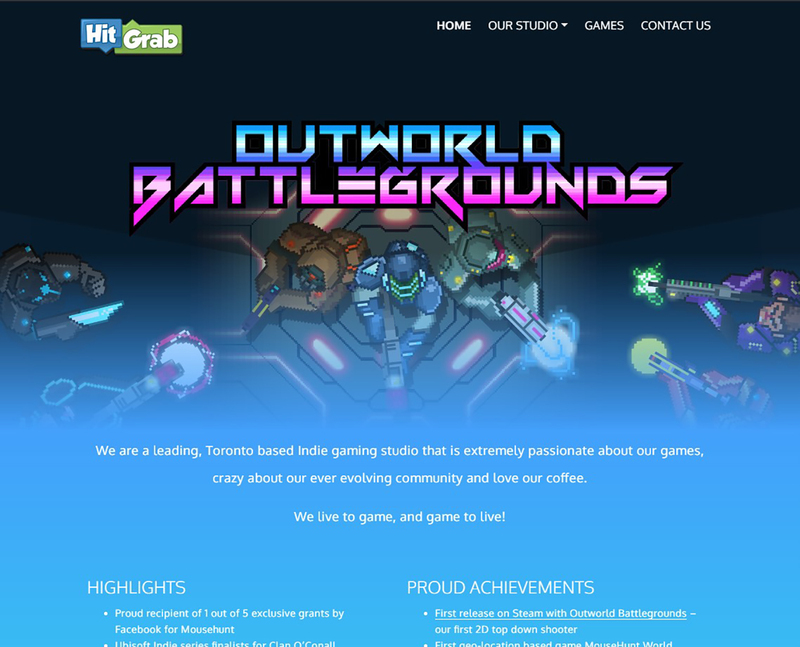 Have a look at hitgrab.com to see the new site. 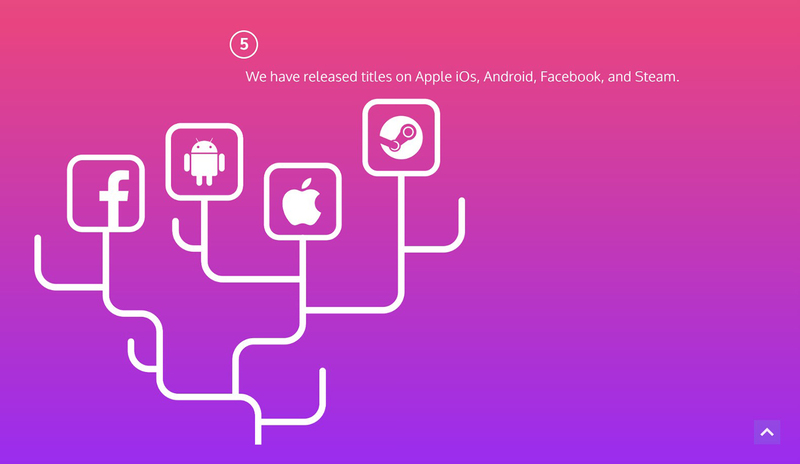 Individual Game pages with download and social links. A snippet of my favourite page on the site, the Studio page.